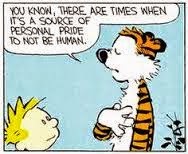 “History was once somebody’s present” one of my teachers back at school used to say. If one remembers ‘Alexander the Great’, he is someone whom we all have always admired about. 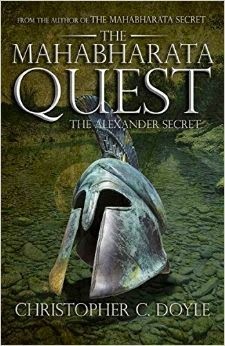 Reading ‘The Mahabharata Quest’-The Alexander Secret authored by Christopher Doyle just gave me a different perspective. Not all great men are good, and when someone gets ambitious beyond the necessity there is nothing but peril, well that's some lesson I did get through the storyline. The story begins by giving a reader some curiosity about why Alexander proclaimed himself as God and invaded Indus, and he died two years later. There is also a bioterrorism and scientific research angle to the plot, things that happen in a hidden laboratory suddenly seem to be connected to Alexander’s quest. And there is the critical Mahabharata connect-Samudramanthan. Amidst this are a set of people who work in different fields who are entangled in the loop, between Greece to India, the caves and the valleys and the roads and the museum. Too much coincidence to believe, Alice in Greece finds a cube and Vijay in India reads his parents journal, Radha and Imran run an investigation after a fire accident at Titan Pharmaceuticals, Alice is Vijay’s ex girlfriend, Radha is Vijay’s fiancée, and all these characters meet each other, bang on in this adventure! Not very convincing for me. History, science and adventure in combination is one thing that every second author writes about these days but not everyone manages to pull through it. While the retrovirus and bacterium aspect interested me because it is my area of professional expertise, the Macedonian history took me back to those times. The science and history bit is well researched, especially where he writes about how retroviruses replicate and how Alexander dealt his expeditions and treated his fellowmen. It seems like it is going to be a long wait.